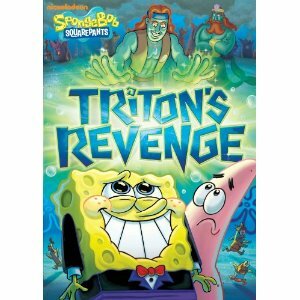 On July 13th, Nickelodeon and Paramount Home Entertainment released “SpongeBob Squarepants: Triton’s Revenge” on DVD! My boys love SpongeBob Squarepants, so they were really excited when this arrived in the mail. 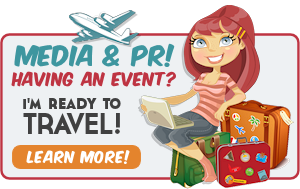 Guest voices include Victoria Beckham, John O’Hurley, and Sebastian Bach. You can find the DVD in stores and online, retailing for $16.99. King Neptune wants to celebrate his 5,000th birthday at the hottest spot in town – none other than the Krusty Krab! SpongeBob and crew spare no expense for the gala, rolling out the red carpet to welcome the royal family. Despite their best efforts, the absence of Neptune’s son, Triton, brings down the king’s spirits and spoils the festivities for everyone, especially his wife, Queen Amphitrite. The gang soon learns that Neptune banished his son to a deserted island until Triton is ready to follow in his father’s footsteps. Determined to make this the king’s happiest birthday ever and save the day, SpongeBob sets out to find Triton and bring him back to the party. Unfortunately no one anticipated Triton’s wrath and now Bikini Bottom may get caught in the net of revenge meant for his father. A friendly day of building sand castles soon turns into all out war when SpongeBob and Patrick use their sand creations to battle each other. When Gary’s shell breaks, SpongeBob tries to find him a replacement. Plankton hires Patrick to create advertising slogans for the Chum Bucket. SpongeBob helps Plankton find the perfect anniversary gift for Karen. Squidward becomes the star of his own public access TV show. Squidward tries to sabotage SpongeBob’s big dance audition. I received a copy of “SpongeBob Squarepants: Triton’s Revenge” on DVD from Nickelodeon and Paramount Home Entertainment to facilitate this review. All opinions expressed in this post are 100% mine. Even I like SpongeBob. I know my niece would love this so I will have to get this for her. Thanks for the review!